On Saturday afternoon, I went to Hollywood to see “Bigger Stronger Faster” at Grauman’s Chinese. 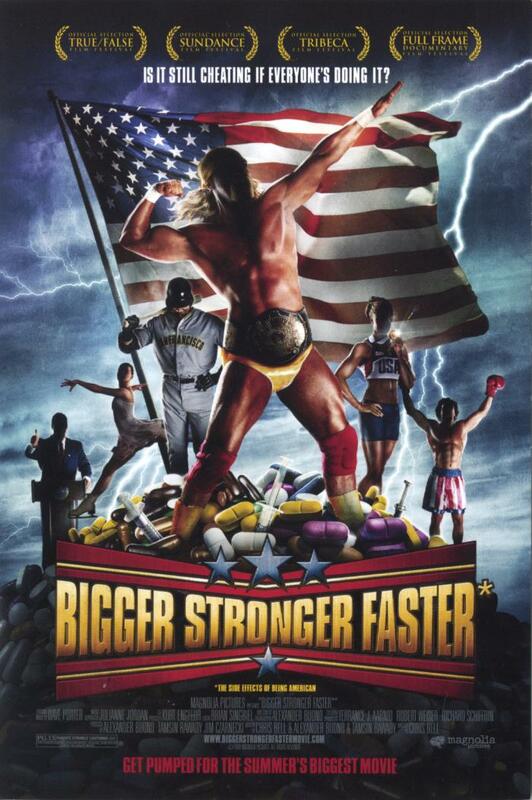 This is a documentary about steroids in athletics and performance-enhancing drugs in general. While this may sound dry, it was actually tremendously entertaining. I didn’t think they really came down on steroids as either all good or bad. It was more of, “well, this is just an extremely gray area”. But they did point out that our culture has a very ambivalent attitude to all kinds of performance-enhancing drugs. The point being that our collective prudery about drugs used for athletics doesn’t square with our overall embrace of drugs to enhance performance in all manner of other endeavors. In particular, the musicians taking beta blockers to control stage fright was an interesting example of this gray area. But when it comes down to it, this was just a very funny and entertaining movie. The part exposing the fraud of muscle-building dietary supplements alone was worth the price of admission. In particular, the interview with the photographer who explained how he can take the ‘before’ and ‘after’ pictures on the same day. That was hilarious.